Lacy Dawn's father relives the Gulf War, her mother's teeth are rotting out, and her best friend is murdered by the meanest daddy on Earth. Life in The Hollow isn't great. But Lacy has one advantage -- she's been befriended by a semi-organic, semi-robot who works with her to cure her parents. He wants something in exchange, though. It's up to Lacy Dawn to save the universe. “Imagine Wizard of Oz and Hitchhiker’s Guide to the Galaxy smashed together and taking place in a hollow in the hills of West Virginia… This book is laugh-out-loud funny at times, satiric of almost everything it touches upon…The characters from the hollow and from the planet Shptiludrp (the Mall of the Universe) are funny almost to the point of tears...It's absolutely fantastic…." "Rarity from the Hollow is an original, interesting, naughty story of a backwoods girl, who saves the Universe, in her fashion. Not for the prudish." Half of author proceeds are donated to Children’s Home Society of West Virginia for the prevention of child maltreatment. 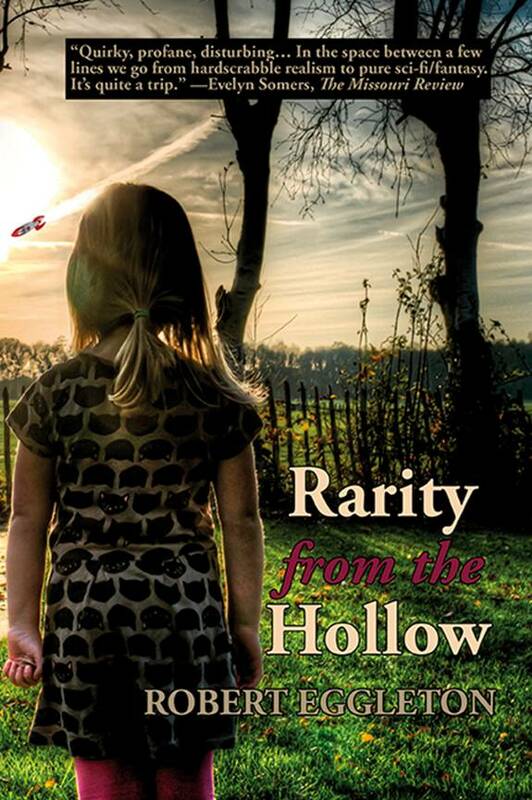 http://www.childhswv.org/ A listing of services that are supported can be found here: https://chocolatepages.wordpress.com/2015/09/05/book-spotlight-rarity-from-the-hollow-by-robert-eggleton/.